The NC Promise tuition plan lowers undergraduate tuition to $500 per semester for in-state students and $2,500 per semester for out-of-state students at Elizabeth City State University, University of North Carolina at Pembroke and Western Carolina University. The Fixed Tuition Program dictates that tuition will remain the same all four years at a UNC System university. Both of these programs are part of the "We Promise" campaign launched in early October to promote affordable college opportunities for all North Carolinians. 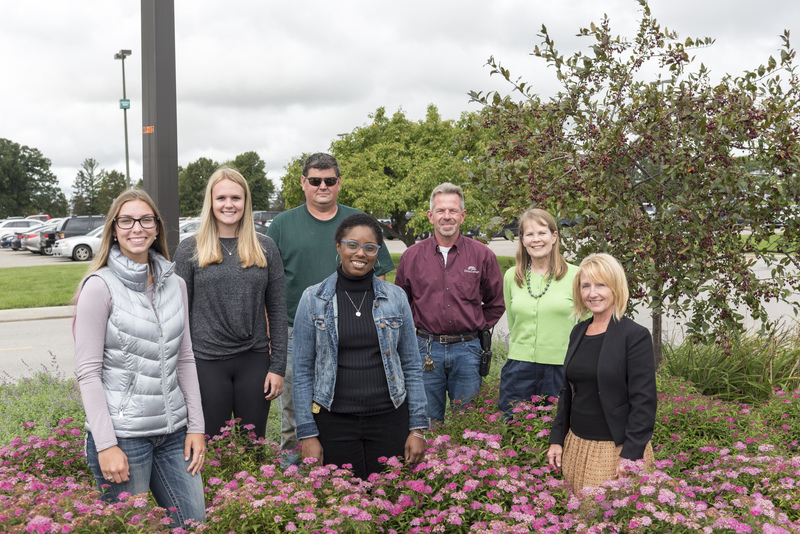 Campus ground crews have been steadily increasing wildflower-planted areas and native plant habitat, as well as designating pollinator habitat, that have enable the college to obtain the Bee Campus USA certification. The college undertook seven steps including establishing a committee, developing a plan, sponsoring student service-learning projects and installing signage around campus. The three-week challenge will start at the beginning of October and aims to encourage everyday physical activities that benefit human health and the environment. Free for all members of the IU community to participate, the challenge focuses on one form of sustainable physical activity per week. Three new photovoltaic arrays, amounting to a 57 percent increase in solar generating capacity for the school, will have a total capacity of 391.45 kilowatts. 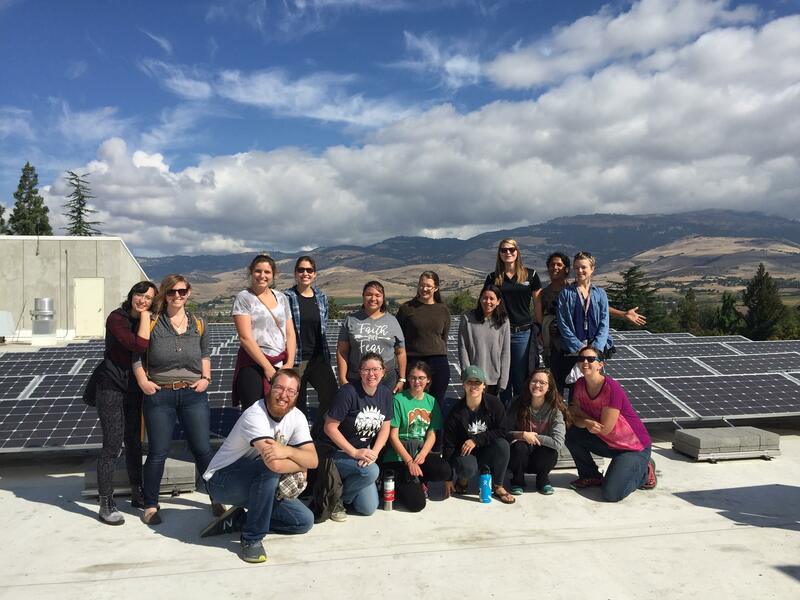 One array will be funded by the Associated Students of Southern Oregon University’s Green Fund, and the university will pay the fund back for the electricity generated by the system. Hosted by the World Peace Flame Foundation, the World Peace Flame represents a symbol of those dedicated to achieving peace through education and practical support of grassroots peace initiatives. It aims to inspire people to create peace at every level. There is only one other World Peace Flame in the U.S. It is in the Civil Rights Museum in Memphis, Tennessee, the assassination site of Dr. Martin Luther King, Jr. The culinary team spent the summer reworking all the menus in the Frist Food Gallery with the goal of including healthier, globally diverse menu options. Plastic water bottles were replaced by refillable cups, glass bottles and several types of carton water. Plastic bags were replaced by paper bags, now available by request. Silverware were moved to a more prominent position and for to-go orders, plant-based utensils are given. Paper and plastic straws are now available at the cashier stations upon request. The new Institute for Sustainability and Resilience will promote environmental sustainability and community resilience in Hawaiʻi through sustainability-focused curricula and solution-oriented approaches to research and community partnerships. The university has appointed professor Makena Coffman as director, who currently serves as chair of the city and county of Honolulu Climate Change Commission. 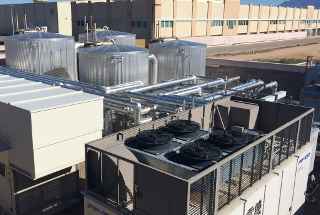 Funded by a $20 million grant from the National Science Foundation, a consortium of universities, research laboratories and industry partners will contribute to a SMART Grid Center at the University of New Mexico. The SMART Grid Center, which stands for Sustainable, Modular, Adaptive, Resilient and Transactive, will support an integrated research and education program for the development of a modern electric grid. 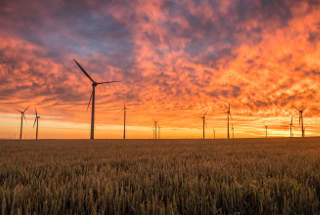 The research program seeks to transform existing electricity distribution feeders into interconnected microgrids and will utilize multiple testbeds across New Mexico. The New York City Water Challenge to Universities was recently announced by the New York City Department of Environmental Protection. As part of the challenge, the participating universities will work to reduce their campus-wide average water consumption by 5 percent, which would be a savings of approximately 1.3 million gallons of water per month. The participating universities are Fordham University; Long Island University, Brooklyn campus; Pace University; St. John’s University; The New School; and Weill Cornell Medical. The university's Von Allmen Center for Entrepreneurship and its Student Sustainability Council announced the new competition for teams interested in pitching sustainable startup ideas to a panel of judges. The startup idea must be related to one or more of the three pillars of sustainability and can be for profit or nonprofit. A total of $2,000 will be awarded to the top three finalists, with the first-place team receiving $1,000 to help make their startup a reality. This semester the university is debuting its plant-based charcuterie program, which seeks to make a variety of meat-and-dairy-free foods such as sausage, cheese, corned beef and pastrami. By using the term plant-based rather than vegan, the university hopes to appeal to those that don't consider themselves vegan. The university announced plans to buy electricity from 48.6 megawatts of wind generation capacity annually through a power purchase agreement (PPA) for 15 years. Last year BU used 205,000 megawatt-hours, which is what it plans to purchase from the wind facility annually. 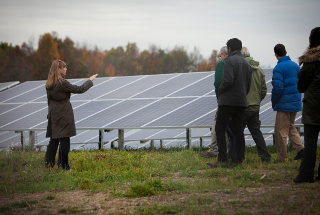 The university will receive and retire the associated 205,000 Green-e Certified renewable energy certificates. The electricity will feed the South Dakota electrical grid, one where BU can displace more fossil fuel intense electricity production. 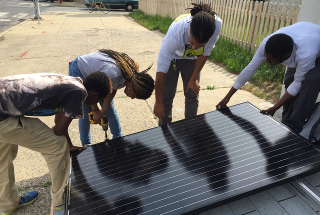 With a goal of making the solar workforce more diverse, the Solar Energy Industries Association and the Historically Black Colleges and Universities Community Development Action Coalition have signed a memorandum of understanding to begin a comprehensive effort to help the solar industry recruit and employ more students from the nation’s 101 Historically Black Colleges and Universities. This will include hosting a national jobs fair and individual jobs fairs at the HBCU schools. The university's Board of Trustees recently voted to adopt a pair of recommendations that will divest the university’s $230 million endowment from fossil fuels within the next five years. The plan calls for a 50 percent reduction in exposure to companies owning fossil fuel reserves in the marketable portion of the endowment portfolio by Dec. 31, 2020, and full divestment by June 30, 2023. University of California President Janet Napolitano and State University of New York Chancellor Kristina Johnson co-wrote a piece for the Washington Post recently that contends the higher education community is well-equipped to lead on climate action. They write, "With some 20 million college students nationwide, the impact the higher education sector could have by decarbonizing its own operations, and by educating the next generation to wean the world off fossil fuels, is significant." Because universities generally contain in-house expertise and a commitment to sustainability, they have the opportunity to be testbeds that can be used to inform public policy and mitigate immense environmental challenges. (Germany) The university has received $1.06 million (900,000 Euros) for the Dilemmas of Sustainability project, which aims to empirically investigate the use of the term sustainability and develop criteria that can be used to assess sustainability programs and projects. Funding for the project comes from Ministry of Science of Lower Saxony and the Volkswagen Foundation's Science for Sustainable Development funding program. The university's new partnership with Earthship Biotecture Academy allows students in its Environmental Management degree program to learn how to build an Earthship while earning their degree. Participants in the academy might also earn undergraduate credit to be applied to their bachelor’s degrees at other universities. 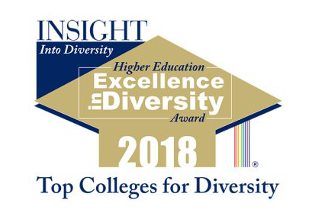 This year's Higher Education Excellence in Diversity (HEED) Award was given to 98 higher education institutions, 13 of which were categorized as "Diversity Champions" by exemplifying an unyielding commitment to diversity and inclusion throughout their campus communities, across academic programs, and at the highest administrative levels. 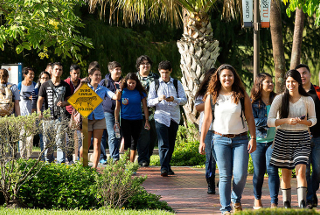 The Insight Into Diversity HEED Award measures an institution’s level of achievement and intensity of commitment in regard to broadening diversity and inclusion on campus through initiatives, programs and outreach; student recruitment, retention and completion; and hiring practices for faculty and staff. The new building features large, energy-efficient windows, shower facilities for cyclists, and an energy-efficient HVAC system. Twenty-one percent of the building’s content is recycled material and the college was able to divert 91 percent of construction waste from landfills. Connecting the building to its site, wood boards from an elm tree that was knocked down in a 2011 storm were used to panel the east wall of the building’s chapel. From more than 300 submissions in this year’s award program, 11 submissions were selected across four categories that include the inaugural Lifetime Achievement Award. Some recipients will present on their award-winning work at AASHE 2018. The two residence halls, one new and one renovated, feature water-efficient fixtures, energy-efficient electrical systems and low VOC paints and flooring. More than 85 percent of the construction demolition and waste was recycled. More than 90 percent of regularly occupied spaces have exterior views. Second Nature recently announced that Boston University, the University of Connecticut, the University of South Florida, and Washington University in St. Louis have joined the thirteen other research universities that comprise the University Climate Change Coalition (UC3). UC3 is a new network of research institutions from across North America formed in early February that committed to leveraging their institutional strengths to foster exchange of best practices and research agenda in pursuit of accelerating local climate solutions. 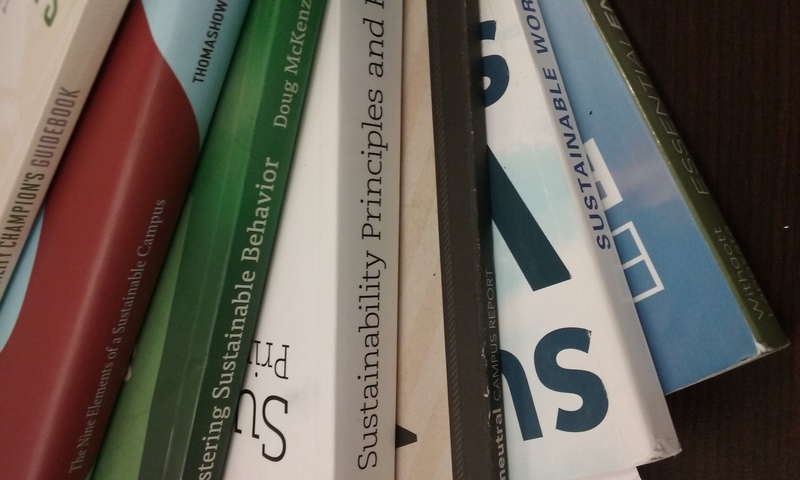 Starting fall 2018, students can enroll in designated courses that increase their knowledge of sustainability as reflected in the human and scientific dimensions as well as ethics and policy. 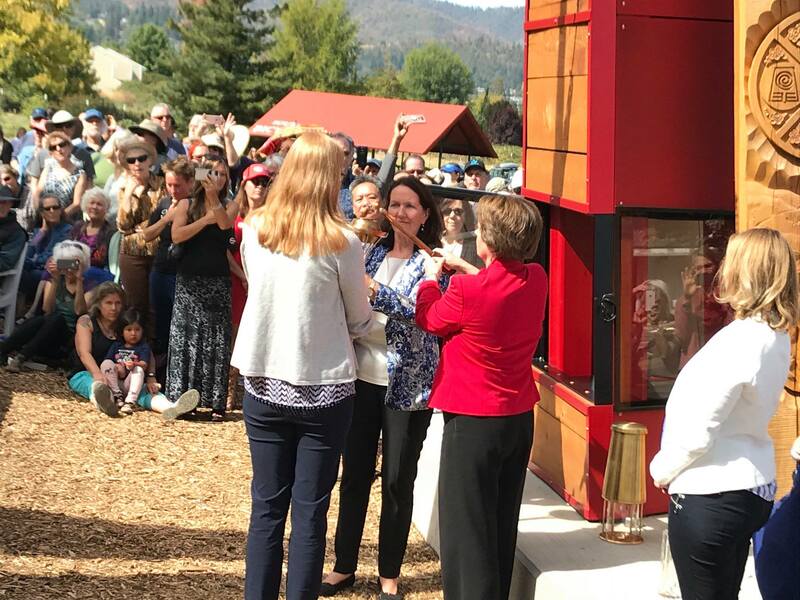 The Grow Lab is a new campus garden that serves as an outdoor classroom and hub for community engagement while working to address local food insecurity. The garden’s harvest will be donated to a food pantry to provide free, nutritious food for students in need. This living laboratory includes 12 garden beds. Classes and clubs can reserve plots to conduct research and engage in community service. 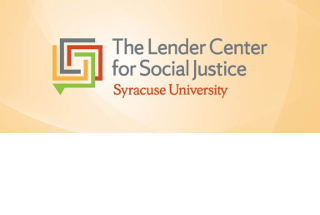 A Syracuse University alumni couple is providing a $5 million donation to support the creation of the Lender Center for Social Justice, which will include research support, symposia, and faculty and student fellowships. The center aims to support innovative and multidisciplinary research of contemporary social problems while providing proactive and concrete approaches and solutions. 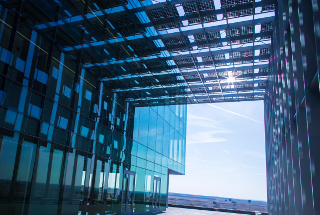 The university's new science building now has 120 solar modules, totaling 39.6 kilowatts. The array will provide hands-on learning opportunities for the students. The new dual-title degree program is based on the idea that climate science is relevant across many different disciplines. Students electing this degree program will earn a doctorate with a dual-title in the participating program and in climate science. The program aims to provide a curriculum in climate dynamics and observations, numerical and statistical methods, the physical climate system, biogeochemistry, and human dimensions of climate change. 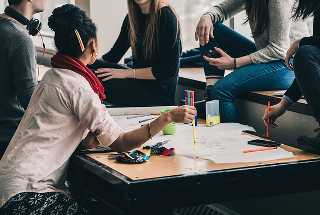 The National Union of Students in the U.K. released new survey results revealing students' expectations for and experiences of teaching and learning for sustainable development. While this is the eighth year of the survey, it is the first year that the results include input from students outside of the U.K. The results say that 91 percent of students surveyed want their place of study to incorporate and promote sustainable development and 70 percent want sustainable development incorporated and promoted through all courses. Additionally, 61 percent said they would accept a lower salary than average to work in a company with a positive social and environmental record. 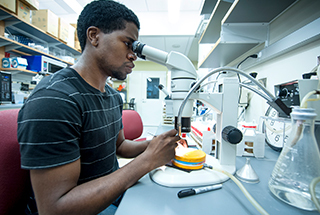 The $3 million grant from the National Science Foundation will be used to establish a new graduate training and research program, Global STEWARDS (STEM Training at the Nexus of Energy, Water Reuse and Food Systems). 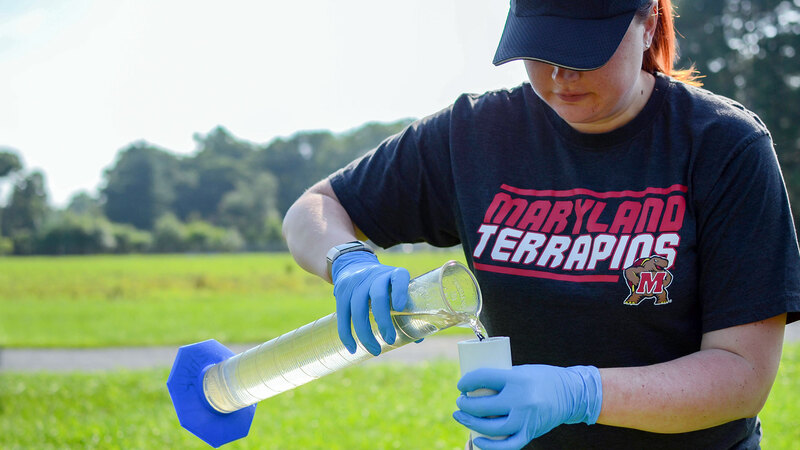 The program seeks to enable UMD to recruit and train more than 60 doctoral students in the life sciences, earth system sciences, engineering and computational sciences, natural resource management, and energy and environmental policy. The first published issue of Q Magazine features articles from students enrolled in the undergraduate certificate in Environmental Writing, a joint venture of the university's Institute for Sustainability, Energy, and Environment, the School for Earth, Society, and Environment, and the English department. 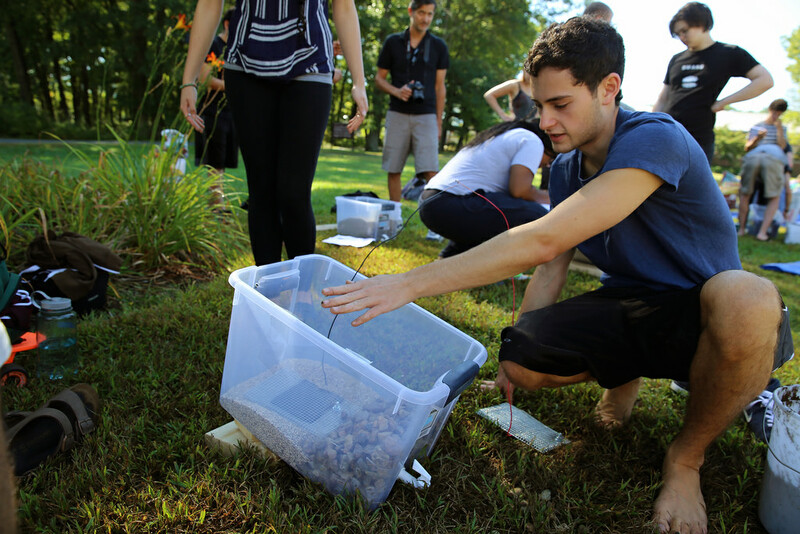 Students enrolled in the capstone course learn about the latest scientific research on the environment and how to communicate that research effectively to the public. (U.K.) STEM Equals is a new program for enhancing equality and diversity in science and engineering. Aided by a grant totaling $704,125 (538,568 British pounds), the program will introduce a nursery so that staff can attend key research meetings while on leave, and will establish public and private social media platforms for female and LGBT staff within the university. (U.K.) Following a successful five-month pilot period, the employee well-being and sustainability program will be offered to all employees in October 2018. Employees can earn points for tracking activity in areas such as fitness, commuting and waste. Employees who receive the most points are able to win individual voucher prizes, while teams with the most points can award a charity donation. Citing a 2015 university food gardens study co-authored by a Southern Illinois University professor of geography and director of environmental studies, the article highlights a burgeoning trend over the past decade in which college students across the country volunteer their time to get back to the land or to forge a connection to the land for the first time. The university can now order three new zero-emission battery electric buses thanks to a $1.5 million grant from the Federal Transit Administration (FTA). The Associated Students of UM’s UDASH transit system was awarded the competitive grant through the FTA’s Low and No Emission Bus Program. ASUM expects to order buses this fall and receive them sometime in 2020. The new electric buses will allow Associated Students of UM to replace several diesel buses. (Australia) At its Albury-Wodonga campus, the new, 100-kilowatt solar-electric system covers 44 car parking spots. In partnership with Lime, the campus community now has access to shareable bikes. Riders pay $1 for 30 minutes of riding, with discounts available for students. When the ride is finished, the rider can park the bike anywhere public, as long as it is not in way of traffic or pedestrians, and lock it to end the ride. Preliminary construction and site preparation began this summer on a 5-acre campus garden that will provide a platform for academic collaborations, sustainable food production, student life and wellness, and community engagement. The university recently partnered with Lime to offer dockless, GPS-based bike sharing. Lime will provide about three dozen bikes between the university's Danforth, North and West campuses. Clean Air Carolina, a North Carolina advocacy group, recently provided air quality monitors at two university locations for both research and providing real-time data to the public about weather fluctuations and particle pollution in the region. Students will be involved in data collection and measuring environmental hazards, with applications for course work, research projects and regional ecological assessment. A new global university ranking that aims to measure institutions’ success in meeting the U.N. Sustainable Development Goals is under development by Times Higher Education (THE). The first edition of the ranking will include metrics based on 11 SDGs and the long-term goal is to measure performance against all 17 goals. The ranking will be open to all accredited universities that teach undergraduates, and the first edition will be launched at THE’s Innovation and Impact Summit in South Korea in April 2019. Data collection will begin this autumn. As part of its Carbon Neutrality Initiative, the university now aims to provide 100 percent of its electricity across its campuses and medical centers from clean sources by 2025. Additional goals include reducing energy-use intensity by 2 percent year over year and discontinuing on-site fossil fuel combustion for water and space heating in new buildings and major renovations after June 2019. Enhanced purchasing requirements supporting sustainable sourcing were adopted and each campus will reduce municipal solid waste 25 percent by 2025, and by 50 percent by 2030. 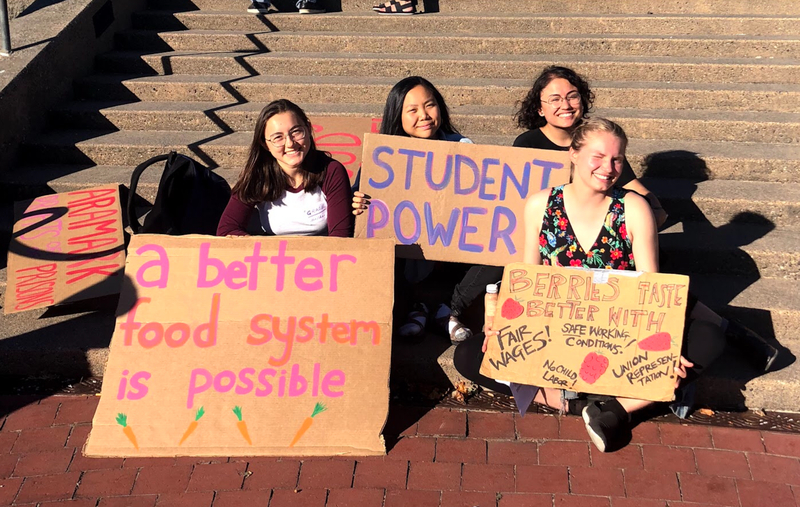 The Community Coalition for Real Meals recently launched a nationwide campaign urging the higher education divisions of Aramark, Compass Group and Sodexo to commit to serve 25 percent "Real Food" as defined by Real Food Challenge, reduce carbon emissions and industrial animal products, invest in racial justice and equity, and increase transparency and accountability. The coalition will publish report cards on the progress of each company. The coalition is a grassroots alliance of farmers, ranchers, fishers, food workers, students and environmental advocates. In early September, The Chronicle of Higher Education highlighted AASHE's 2018 Sustainable Campus Index, an impact report that spotlights top-performing colleges and universities in 17 distinct aspects of sustainability and overall by institution type. The Chronicle piece features the top 10 schools by overall score for doctoral, master's, baccalaureate and associate institutions, along with seven of 10 subcategories, which are sortable by score. Teams from the University of North Carolina at Charlotte won first and third, while a team from California College of the Arts won second place in the 2018 Steel Design Student Competition, put on by the American Institute of Steel Construction and the Association of Collegiate Schools of Architecture. The Affordable Housing category is socially oriented to challenge students to design affordable multi-family housing in an urban context. 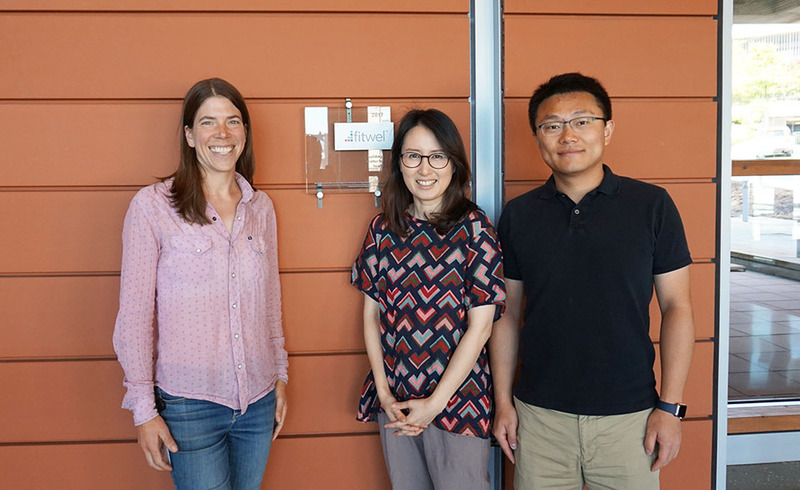 Two researchers in the university's Civil & Environmental Engineering department assisted the city of Bellevue with Fitwel certification of its city hall. Administered by the Center for Active Design, Fitwel encourages the adoption of 63 strategies that support healthy behavior by occupants. Out of a total possible 144 points, Bellevue City Hall earned 92 points, receiving a one-star rating. Launched in August 2018, the Certified Green Lab Program is for university labs that commit to sustainability through actions like reducing waste, conserving energy and abiding by the 12 Principles of Green Chemistry from the American Chemical Society. The lab program is managed by the university's Institute for Sustainability, Energy, and Environment. The university, with assistance from Clean Air Carolina, recently changed its Design and Construction Manual to require contracted companies to reduce diesel fuel emissions while working on campus. 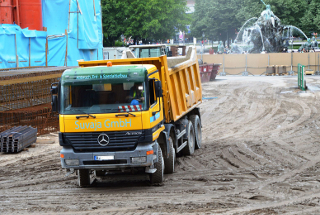 These new standards, which apply to all future construction projects on campus, discourage prolonged idling of equipment on construction sites and require all equipment to use the lowest exhaust emissions possible. The new policy prohibits all use of tobacco and electronic cigarettes on campus. The university applied for and won a grant from the American Cancer Society to help implement it. In an effort to protect the health and safety of university students, employees and visitors and to promote a healthy and safe work, educational and living environment, the university passed a smoke-free policy and procedure, which prohibits smoking in and on all university property, including smoking in private vehicles when parked or operated on university property. The policy also prohibits littering on university property with tobacco products or the remains of any tobacco products.